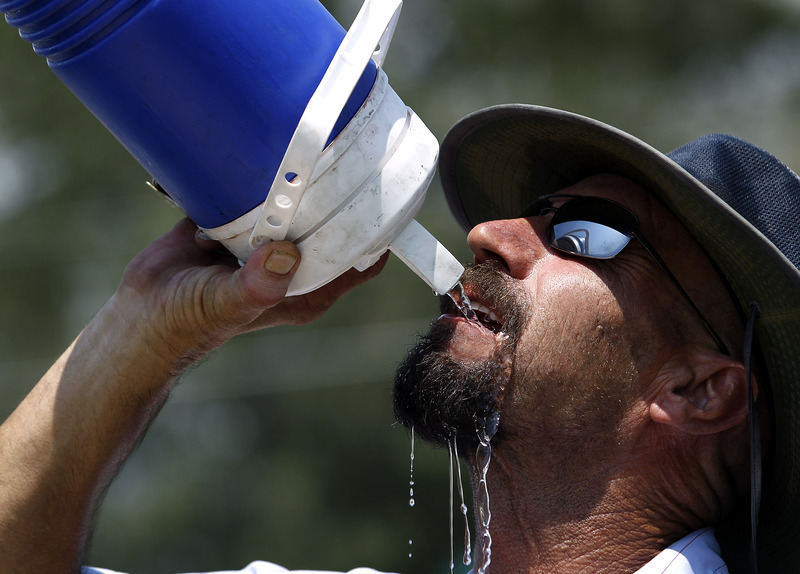 WASHINGTON — The United States is already setting twice as many daily heat records as cold records, and a new study predicts that will get a lot more lopsided as man-made climate change worsens. Under normal conditions, without extra heat-trapping gases from human activity, the nation should set about the same number of hot and cold records over the course of several years. But that’s not happening and it’s steadily getting worse, scientists said. If and when the nation warms another 4.5 degrees, expect there to be around 15 heat records for every cold one, the new study in Monday’s Proceedings of the National Academy of Sciences predicts. That warming can be as early as 50 years from now if greenhouse gas emissions - from the burning of coal, oil and gas - continue at their recent pace or a century away if carbon pollution slows down, said study lead author Gerald Meehl, senior scientist at the National Center for Atmospheric Research. “This climate is on a trajectory that goes somewhere we’ve never been. And records are a very easy measure of that,” said study co-author Claudia Tebaldi, who’s also at the atmospheric center in Boulder, Colorado. They used records from the nation’s weather stations for their statistical calculations. After an earlier study in 2009, Meehl and Tebaldi looked further in the past and into the future. In the Dust Bowl hot 1930s, there were 1.1 hot records for every cold. After a couple decades of more cold records and an even one-to-one ratio in the 1980s, the number of high heat marks left cold in the dust. So far in the 2010s there have been 2.2 hot records for every cold, including six hot records for every cold this year, Meehl said. Looking at records is important because people don’t feel shifts in average temperature, but they do notice shifts in extremes like this, Meehl said.